WELCOME TO THIS MUST SEE! Located close to the Sanford/Orlando Airport, I-4, HWY 17/92 and FL-417. 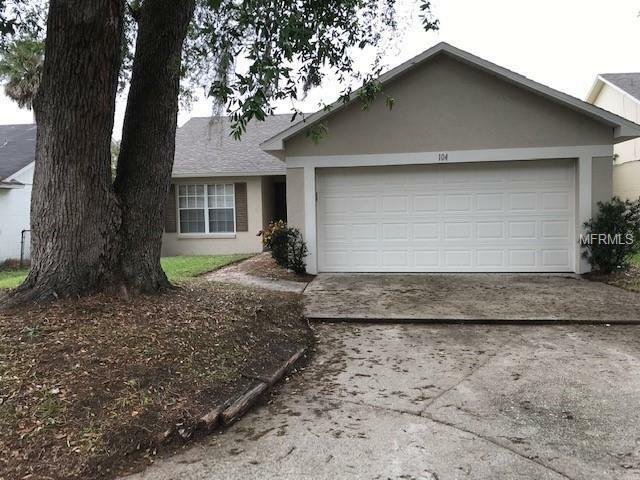 This 3 bedroom/2 bath home has been PAINTED inside and out 2/2019, new ROOF 1/2019, new FLOORING - Carpet in all bedrooms and tile in kitchen, bathrooms and hallway. KITCHEN - new cabinets, granite counter tops and all brand new stainless steel appliances. BATHROOMS 1 & 2 - new vanity and faucet, new toilet. BEDROOM 2 & 3 - New ceiling fan with light kit. LIGHTING - new lighting fixtures installed in kitchen and bathrooms. New hot water heater installed. House is available for immediate occupancy!